UCI’s Next-Generation Undergraduate Success Measurement Project: The role of peer assessment in student success. The University of California, Irvine announced on November 27 that it received a $1.1 million grant from the Andrew W. Mellon Foundation to improve understanding of the value of a liberal arts education. The 3-year Next-Generation Undergraduate Student Success Measurement Project will focus on identifying learning data that establishes models to improve student success. Frequent postings in mainstream and education press debate the value of the liberal arts. Advocates believe that an education based on literature, humanities, social sciences, and the physical sciences rather than professional or technical studies provides a better foundation for student success. At Peerceptiv, we believe the development of higher-order thinking and critical analysis skills drives student success regardless of subject matter. We view peer assessment and engagement, supported by real-time learning data, as an effective tool to efficiently build these foundational skills with the resources commonly available in the modern post-secondary classroom. Biology professors at UC Irvine use peer assessment by Peerceptiv in high enrollment courses to develop ‘writing-in-the-sciences’ communication skills. Providing meaningful assessment and feedback on a writing project in a course with hundreds of students is typically so time-consuming that educators are rarely able to assign them. In fact, we see courses with as few as 20 students benefiting from peer assessment, with students engaging as instructors to their classmates based on the rubrics provided by the professor. But it is in the high enrollment courses where the impact of peer assessment is greatest. Frequently it is the difference between being able to assign and manage the key formative assessments that build the foundational skills essential for success, or not assigning them at all. Instructors are using high-reliability peer assessment to scale development of higher-order thinking skills in some very creative ways. In courses with the best outcomes, instructors are mixing longer writing projects with shorter-turnaround presentation and video upload assignments. In this way, Peerceptiv is used as much for learner engagement and collaboration as it is for assessment. Students are frequently engaging with one another, even in larger online courses, in ways that develop the problem solving, communication and creativity skills long identified as most important in the workplace. The only way to meet the Project goal of supporting academic decision makers in the public domain is to standardize learning data. Since 1995, IMS Global has taken the lead in establishing learning data standards, and with the recent upgrade to Caliper v1.1 now provides a structured framework for describing, collecting and exchanging learning activity data. Embracing a common data standard is especially important at post-secondary, where educational backgrounds and university curricula can vary significantly from school-to-school. It’s not just about learning-to-write, it’s about writing-to-learn. Nothing scales critical thinking skill development as effectively as organizing one’s thoughts in writing. There simply isn’t enough writing happening in institutions around the world, and Peerceptiv is proud of its role in unburdening instructors and giving them the resources to efficiently assign writing tasks even in the highest enrollment courses. Nothing is as passive or counter-productive to improving student success as the multiple-choice test. Student success, whether measured by career choice, lifetime income, or community involvement is a function of their ability to think independently. Developing critical analysis skills requires practice, and any effective learning model must include student engagement. Research-validated peer assessment is but one way of engaging students more directly in the learning process and developing the skills essential for success. Everyone values qualitative feedback on their work and understands how much it contributes to student success compared with simply receiving a grade. Numerous studies have shown that feedback from multiple peers is valid and reliable, and that learners value feedback more from their own peer group compared with experts or authority figures. The real value in peer assessment is two-fold—how it engages students on the giving side of the feedback loop, and in how the model enables instructors to assign the writing and other formative assessments so necessary in achieving desired outcomes. 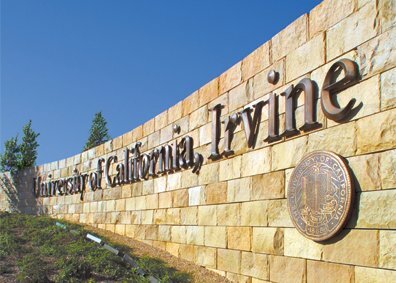 Peerceptiv looks forward to following developments in the UCI Next-Generation Undergraduate Student Success Measurement Project and is confident the findings can be beneficial not just to UCI’s 30,000 students but for post-secondary students and institutions everywhere.